Congratulations! 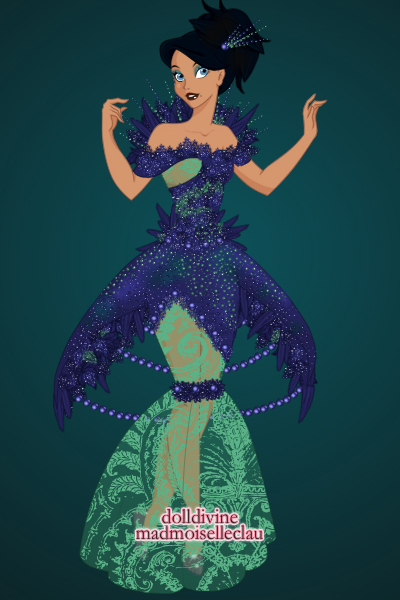 You won 1st place in my High Fashion Design Contest: Azurite! You will receive 100 crowns and 10 comments. This dress is simply amazing! I love its unique design and the interesting shapes - especially the blue overskirt and the beautiful neckline. The colors, the shimmer, the spikey edges - everything screams azurite. The transparent green fabric in combination with the âsolidâ blue part looks so pretty and is both soft, feminine and edgy, fashion.